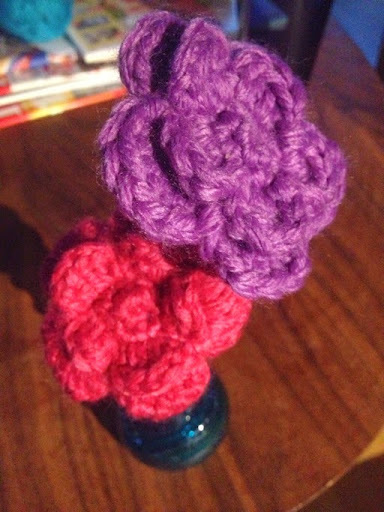 Bought a vase for my friend, and wanted some everlasting flowers in that, so I found a crochet pattern at Svarta fåret that looked nice. 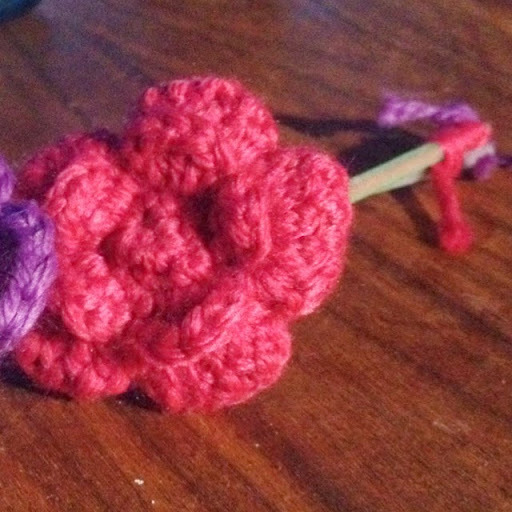 I did two, one crocheting from one side, and the other one from the other side. That makes them look a bit different from each other. I then mounted them on green straws, dragging the yarn inside it and fastened it at the bottom.